Activision has announced that it is planning a new Call of Duty game that will NOT be a first person shooter for release in 2011, following the shock move of sacking a number of senior execs at CoD developer Infinity Ward. The new non-FPS Call of Duty title is to be created by developer Sledgehammer Games, headed up by Dead Space veterans and former Visceral Games bosses Glen Schofield and Michael Condrey. Activision's plan is to extend the highly lucrative Call of Duty franchise "into the action-adventure genre". The company also announced the creation of a dedicated Call of Duty business unit, plus announced that Steve Pearce, CTO, and Steve Ackrich, head of production, will now take over Infinity Ward following the shockdeparture of execs Jason West and Vince Zampella. Activision cited "breaches of contract and insubordination by two senior employees at Infinity Ward" in the sackings. The company has refused to comment further on the issue. 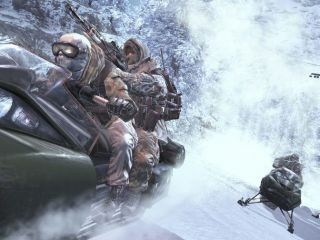 "2010 will be another important year for the Call of Duty franchise," said Mike Griffith, President and CEO of Activision Publishing. "In addition to continued catalog sales, new downloadable content from Infinity Ward and a new Call of Duty release, we are excited about the opportunity to bring the franchise to new geographies, genres and players."